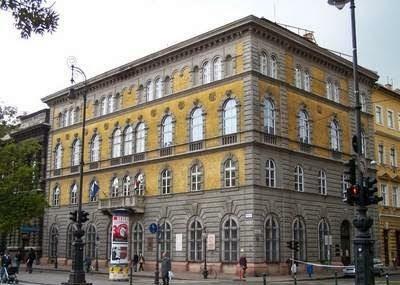 Find hotel near Liszt Ferenc Memorial Mus ..
Liszt Ferenc has had quite an influence on Budapest. There are quite a lot of places that are completely dedicated to the famous museum. This place is actually a reconstruction of his last residence. This is the first floor of the Old Academy of Music where he resided from the year 1881-1886. This place gives an insight into his old life and what he went through in the last years of his life. His instruments, notes, documents and furniture are preserved for people to get an insight of how his life actually was. Photography without flash and videography for non-commercial purpose is allowed. Guided tour is available in foreign language like English, German, French, Italian and Russian. For groups of more than 25 people, prior appointment is required. How popular is Liszt Ferenc Memorial Museum And Research Centre? People normally club together Girl With Her Dog Statue and Lehel Market Hall while planning their visit to Liszt Ferenc Memorial Museum And Research Centre. Small museum of the house of Franz Liszt when he lived in Budapest for a short period. It's only three rooms; piano room still has his pianos and the famous custom made music stand with heads of three of Liszt's inspirations. The study room is very cool, they kept some of the original furniture which can be seen in old photos. A gem. What a nice surprise! It brought the great Hungarian composer to life. If you're in the area, it certainly worth the $7 admission. Way overpriced for a museum consisting of 3 rooms. Liszt was reputed to be a generous man, he would most likely to disapprove such a charging practice to his memorial museum. I would not encourage people to go unless you are deeply interested in Liszt or classical music, even then, you will not get much out of it. An outstanding exhibit! Doesn't take long, but there's plenty to see. I highly recommend springing the extra coin for the audio tour and the CD of Liszt's works being performed on the various instruments of his at the museum. Easily reachable with public transport. Well maintained and nice reconstruction of Liszt't life. Audioguide with Liszt music.